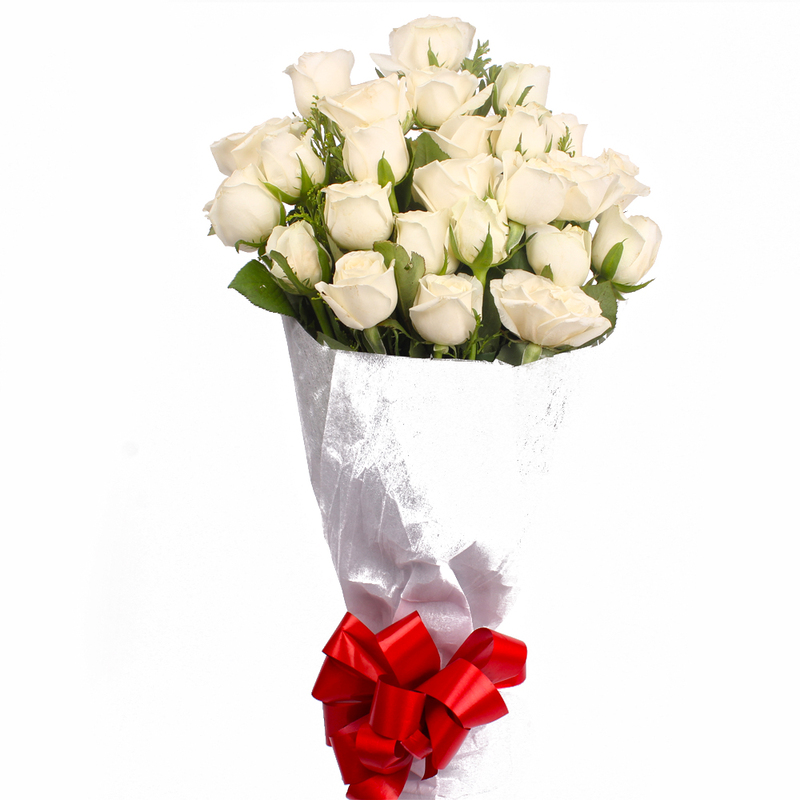 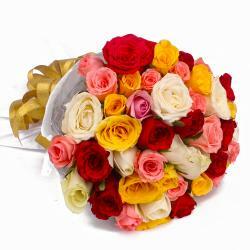 Product Consist : 25 White Roses with green fillers in Tissue Wrapping with Ribbon Bow on it. 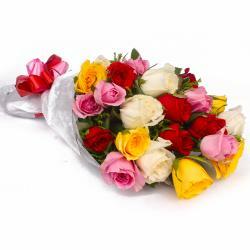 Simply a luxurious classic look to sweep people off their feet. 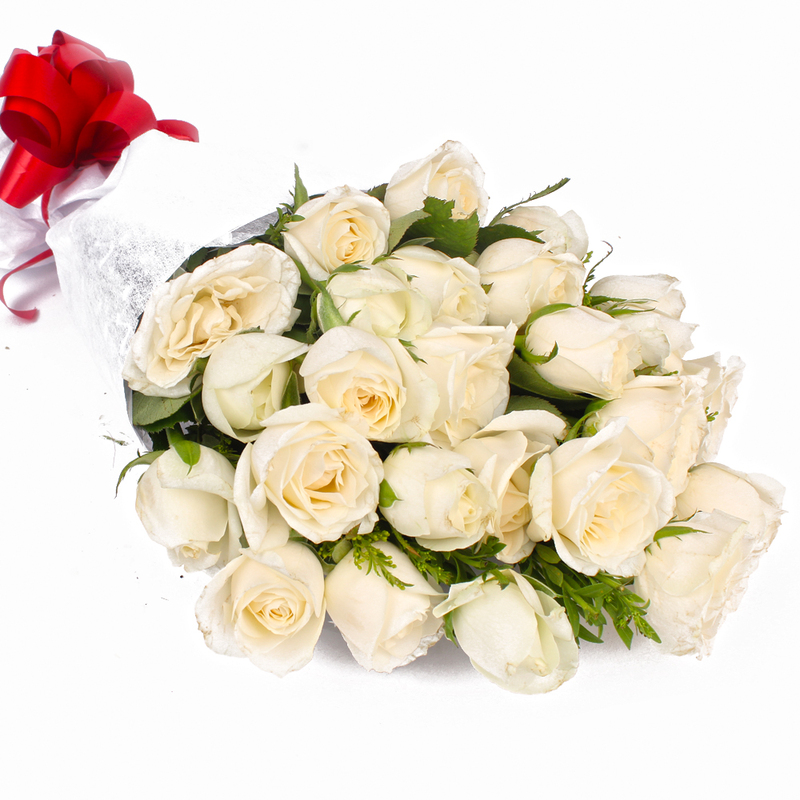 Get this delightful bunch of white roses beautifully wrapped in cellophane paper packing and completed with a matching ribbon bow from Giftacrossindia and make it the moment unforgettable. 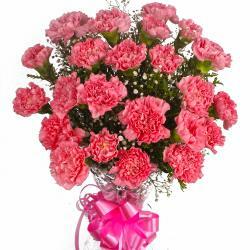 Ideal gift for friends and family on Birthday, Anniversary, Retirement Gifts, Easter, Valentines Day or any other special occasion. 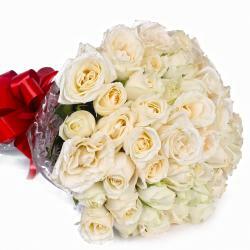 Product Contains : 25 White Roses with green fillers in Tissue Wrapping with Ribbon Bow on it.